It’s that time of the year again! The new iPhone 8 and iPhone 8 Plus are about to enter the Philippine shores and we all can’t wait to get our hands on them. The release of the iPhone 8 and 8 Plus is so timely since Christmas bonuses are typically released at this time too! (Kaching, kaching!) The iPhone 8 and 8 Plus offer of Smart is aimed at new iPhone subscribers who want an easy and light payment scheme without having to shell out a big one-time cash out. YES, you read that right, there’s technically NO CASH OUT! For example, subscribers only need to spend a minimal initial monthly service fee of P2,699 (Plan 1999 + 700 for the device) for the iPhone 8 and P2,999 (Plan 1999 + 1,000 for the device) for the iPhone 8 Plus. The Smart iPhone Plans are for value seekers who wants to experience the new iPhone without breaking the bank. Applying with Smart Postpaid is easier because you can charge to your monthly bill the total plan inclusive of the device cost. Payment of the Smart iPhone 8 and 8 Plus devices for plans 1499, 1999, 2499 and 2999 can be paid on installment basis in easy 24 monthly payments versus a big one- time cash-out through the monthly postpaid bill. There is no need for a credit card. On the other hand, COMPETITOR does not offer charge-to-bill and requires a big one-time device cash-out so you need to be ready with a Php 20,999 cash or credit card payment. Maximize the iPhone features with more data. Smart gives you more data to optimize the new iPhone (1GB more than competitor on hero offers). More open access data means better plan value and more reasons to enjoy the new iPhone and its features. On top of that you enjoy free value-added services/apps that’s interchangeable monthly and that won’t eat up your monthly data volume allocation. Some of our most used apps are unli-data in volume and won’t be counted against our data allowance! These apps are Facebook, Facebook Messenger, Waze, Whatsapp, Line, and Viber. The new iPhone is best experienced with Open Signal’s fastest LTE Network. 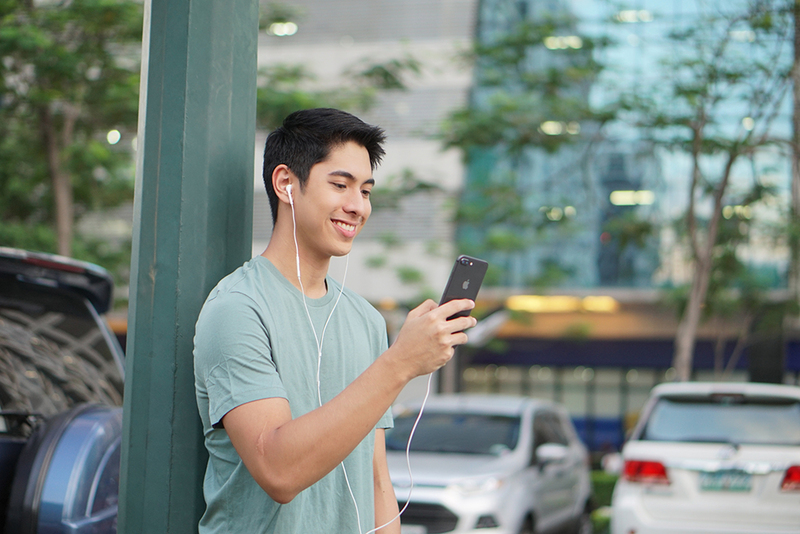 Smart continues to cover the country with LTE connectivity plus built-in all-net calls across all plans. Here in Cebu for example, the LTE signal is continuously improving. My bedroom which used to be a dead spot for Smart is now an LTE area with speeds of at least 20mbps. Smart gives a one month gadget shield for free against accidental damage or theft. Smart’s front liners will register you upon availing of the iPhone 8 plans. Get Plan 1499 with a device cash out of P1,200/month for 24 months for an iPhone 8 Plus 64GB. That’s only P2,699/month or P64,776 for the whole contract period. The iPhone 8 and iPhone 8 Plus can now be preordered at the Smart Online Store (store.smart.com.ph) and Smart Stores nationwide, and both will be available in stores tomorrow, Friday, November 17.